Bronllys Well Being Park Steering Group are looking for a sympathetic purchaser to help them purchase the site close to the Brecon Beacons National Park. Bronllys is a lovely little village situated on the outskirts of Talgarth, close to the Brecon Beacons in Powys. The site they are looking at is 9.2 acres and includes a small mansion house in a walled garden and is perfect for a cohousing project that would lease back the walled garden to the group so that they can create a Growing Project for vulnerable people as a centre piece for the park. One of their Well Being Park Supporters is a local builder and he has had a look from the outside and he thinks that it would be a brilliant opportunity for the project. 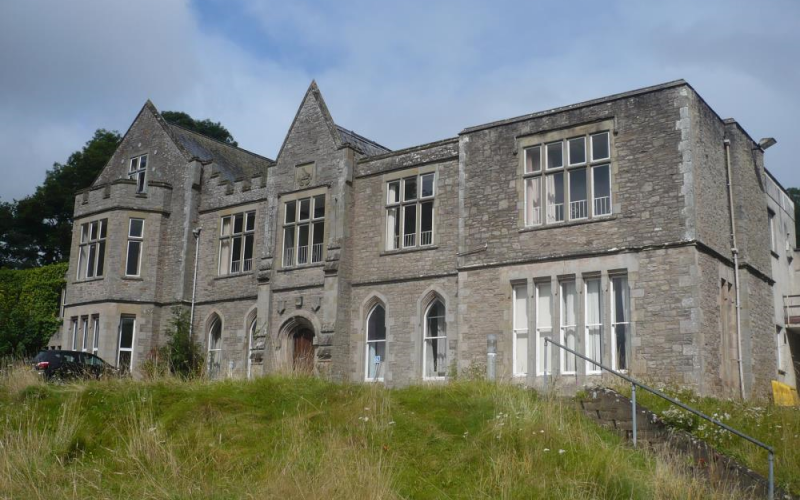 This is a once in a lifetime opportunity, particularly as the seller, the Powys Teaching Health Board are only asking for around £450,000 for the site. The Health Board cannot be said to have cherished their former headquarters towards the end of their occupation and they estimate the mansion house would cost approximately £200,000 to refurbish. The particulars for the site are available here. One of their members is a history buff and has done a brilliant You tube on the Mansion House’s history. If anyone is interested in helping the group, please contact Lydia on 0781 5594799.